Welcome to the Trinity Episcopal School website. I am pleased to share with you the people, the programs and the places that make Trinity unique. 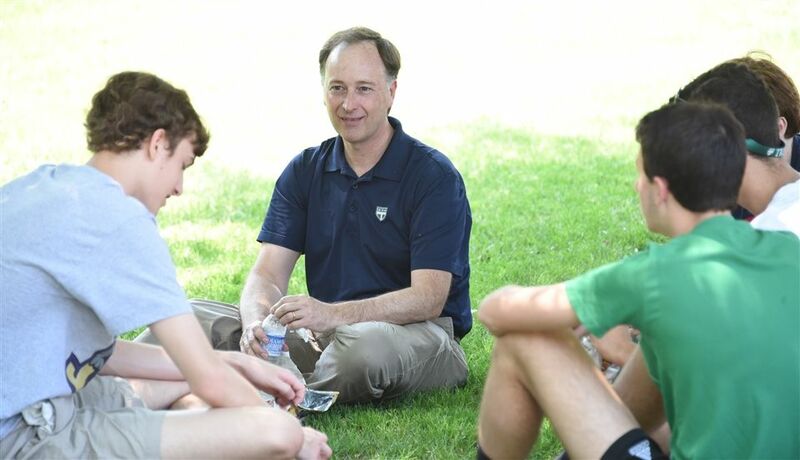 I have been a part of Trinity for more than 25 years, and am honored and grateful to serve as Trinity’s fourth Head of School. As we craft our vision for the future, I am proud to be a steward of the Trinity experience which serves young people so well. Dedicated teachers, spirited students, varied programs and a rich community combine here to create a welcoming environment filled with opportunity. As you click through our web pages, note the central role community plays in our daily life. We begin each day by gathering together in Morning Meeting, which is led by our students. Morning Meeting is where students are asked to lead, often for the first time, by sharing a sentence or two of praise about a fellow student, coach or teacher, or by making an announcement about a club, team or other community activity. Morning Meeting is where we build character — together. Trinity embraces the IB experience as Richmond’s first International Baccalaureate World School. This rigorous academic program emphasizes a mix of intellectual challenge, intercultural understanding and respect and independent research. Even those students who choose not to pursue the full IB diploma can explore parts of the IB program as they challenge themselves and engage in discovery. On each page of the website, you will also see the words “Discover Your Path.” This simple phrase encompasses our broad array of programs and inspires and reflects so much of what we do here. Indeed, “Discover Your Path” represents a promise to each student stated within our mission. Trinity is truly a place where young people of varying talents and interests can pursue their passions and follow their dreams. I invite you to come and visit with us in person, to walk the campus, see our classrooms and playing fields and feel the life of our school through the students and faculty who make Trinity such a wonderful place to learn.